It was the neatly carved out segments that created your day for over forty years. Each had a purpose and when one ended the next one began. Then came the “gold watch” that you never received and now suddenly on Monday morning the whole day becomes a segment. Filling it seems impossible following the comfort of the previous experience. “Options” and “choices” were not part of your vocabulary during those years but now they haunt you from the moment you get out of bed, whatever time that may be. Who you were was that job that consumed energy and interests – perhaps even sleepless nights with a morning decision or deadlines that were almost missed. The familiar and new faces over the many years, the tasks and duties that provided for your family were gone when you left that last day with a box containing your family picture, paper clips and stapler (we should always take a little something when we leave, don’t you think?). 9:00 a.m. on the morning you’ve been waiting for, for all those long years has arrived. It’s cloudy with a chance of rain and you believe that to be true about yourself as well. Options and choices continue to ring in your ears. A slow breakfast is your first thought but wondering if you’ll create a new pattern of daily breakfasts like that. Volunteering for that favorite charity comes to mind but then slowly seems to dwindle as the hours seem longer now than they did before. “The ‘Price is Right’ is on now but watching crazy people in your bathrobe just doesn’t seem right. “There’s golf,” but at your age if you didn’t play it before then you will not play it now. At parties or gatherings how long does it take before the most important question is asked of you or you ask it to someone, “So, what do you do?” Identity is then connected by the occupation that occupied your segments for all those years. 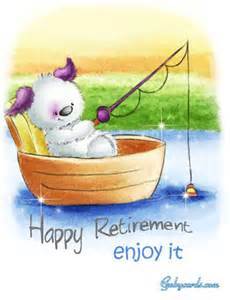 Saying “retired” seems to move the person to the next person. “Oh, you’re lucky,” says the new person wondering if she’ll watch “The Price is Right” only a few years from now. A friend gave me one of the best lines for life, “you are in old age as you’ve always been, only more so.” The “were” that distracts you now is only answered by the same question a teenager asks, “who are you?” “Were” looks back at a time that no longer exists and is over. “Who” is always the question that is never quite completely answered but clues are given throughout our long lives. You slowly forget the “gold watch” that you never received and look for the “gold” that is always before you. It is the “who” that you’ve always been and will continue to be. The interesting part is the “more so.” How can you fill these new segments with “more so” of yourself?